U.S. banks, including Morgan Stanley, JPMorgan Chase & Co and Goldman Sachs Group Inc, are bracing for potential tumult on financial markets in the wake of Tuesday's U.S. election. Bank preparations ahead of the election reflect their experience following Britain's shock vote to leave the European Union in June, when the S&P 500 fell 3.6 percent the day after the poll. 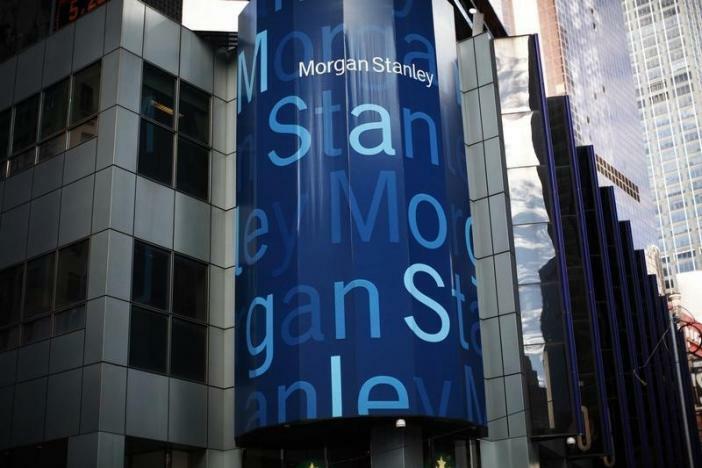 Morgan Stanley told staff to consider using stop-loss orders, an automated trading mechanism that sells an investor's position as soon as a stock hits a preset level, if the election result causes trading volumes and volatility to spike. U.S. banks, including Morgan Stanley, JPMorgan Chase & Co and Goldman Sachs Group Inc, are bracing for potential tumult on financial markets in the wake of Tuesday's U.S. election. Bank preparations ahead of the election reflect their experience following Britain's shock vote to leave the European Union in June, when the S&P 500 fell 3.6 percent the day after the poll. The bank also told advisers in its wealth management unit to prepare for election-related conversations with clients and pointed them to relevant pieces of research, according to a Nov. 7 memo reviewed by Reuters. Traders expect U.S. stock prices to swing by about 2 percent in either direction on Wednesday, the day after the election, based on the price of S&P 500 index options. Options on the PowerShares QQQ Trust Russell 2000 ETF, are pricing similarly large swings before the week is out. Some banks are projecting a more extreme drop in the event of a victory for Republican Donald Trump, with Citigroup Inc estimating that a Trump victory could trigger a 3 percent to 5 percent sell-off for the S&P 500. U.S. stocks rose on Monday as Democrat Hillary Clinton’s prospects brightened after the Federal Bureau of Investigation said it would not press criminal charges related to her use of a private email server while secretary of state. Investors have tended to see Clinton as a more status quo candidate, while Trump's stances on foreign policy, trade and immigration have unnerved the market. The latest twist in the campaign and ensuing stock market rally appears to have quelled a broad push for banks to staff for an all-hands-on-deck event. The "market pretty much told you who was going to win today," said one capital markets official at a major bank who was not planning any extraordinary staffing measures. Another official at a rival bank said Monday's 2.2 percent rally in U.S. stocks had lowered Wall Street's collective angst over the election from "DEFCON 4 to DEFCON 2." No U.S. stock exchange plans extraordinary measures to cope with potential market volatility, exchange officials told Reuters on Monday. After the election, Morgan Stanley will hold a call for financial advisers and clients with Chief Investment Officer Mike Wilson on Wednesday morning. Goldman Sachs is also hosting a call for its private wealth clients led by Chief Investment Officer Sharmin Mossavar-Rahmani and members of Washington lobbying groups Elmendorf Ryan and CGCN Group, according to an invitation sent to clients. More than half of the stock and bond fund managers polled by Northern Trust in the third quarter said they expected the election to cause a large increase in market volatility. On Tuesday night, when results begin to come in, JPMorgan will have additional traders on duty in New York to back up its Asian trading teams in case of surges in volume, said bank spokesman Brian Marchiony. The extra staffing is similar to what the bank did during Britain's vote to leave the European Union, he said. On Wednesday morning, JPMorgan will hold conference calls to discuss the election results and investment implications with customers, including private banking clients, investment managers and institutional clients. A Citigroup spokeswoman described similar plans, including overnight staff in New York on the trading floor.